Why the importance of family owned? Because it means we are long term. We are a Paramount HVAC contractor who will be here tomorrow, and the next day. Not a fly by night dealer gone when you need them most. Family owned also ensures you will experience a level of customer service that is unique to family owned companies. We understand the importance of reliable and efficient air conditioning, heating and indoor air quality products for our own homes and office, and know that the same is important to you. For this reason we provide our Paramount area customers with the latest in air conditioning, heating and indoor air quality technologies that we trust ourselves. 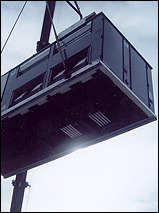 W.R. Smith, Inc. features the York® product line for high energy efficiency and reliable performance. We appreciate your interest in air conditioning, heating and indoor air quality product services from a family owned HVAC contractor. We look forward to enhancing your indoor comfort control! Why do we use York® for air conditioning, heating & indoor air quality? It's simple. 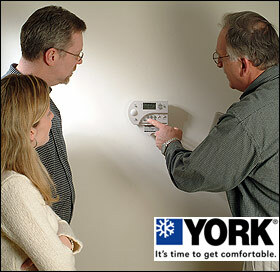 York® heating and cooling products are built to be reliable and energy efficient. York® air conditioners and furnaces hold some of the highest efficiency ratings in the industry, which means lower monthly utility bills. As a family owned business we have one primary goal: The complete satisfaction of others that depend on us. With York® heating and cooling products, we know that our Paramount area customers have the very best keeping them comfortable. It just doesn't get much more important than that.